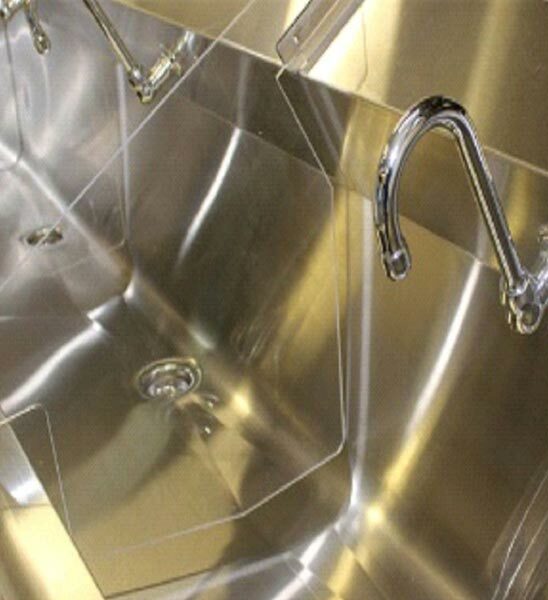 Stainless Steel Laboratory Scrubbing Sink that we offer is perfect to be used in wet labs, hospitals, health care and research facilities. 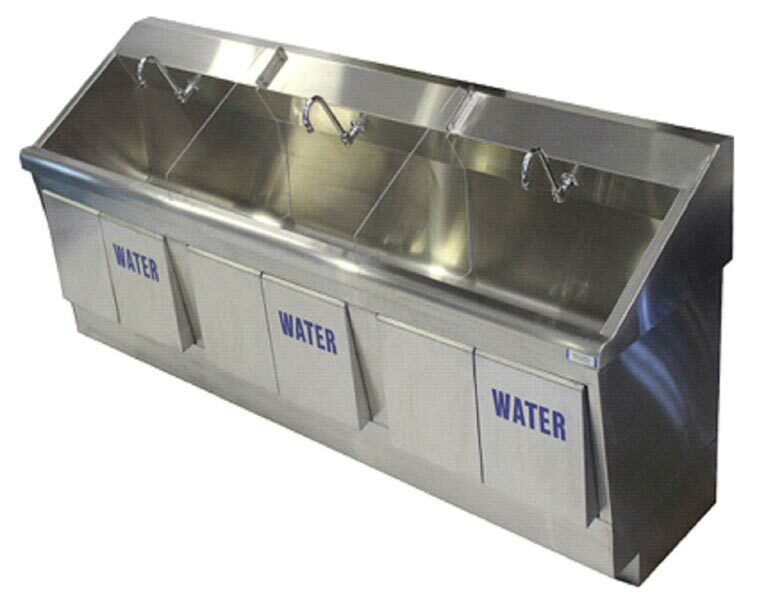 It is manufactured using heavy gauge stainless steel and superior sound deadening technology. It is fully seam welded and built to last. It comes with removable front knee panels for ease of access to the interior of the sink. 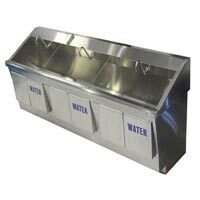 Our Laboratory Scrubbing Sink has 3 wash bays, a sloped bowl bottom surface, 3 3/4 inch OD strainer drain with a 1-1/2 inch OD tailpiece. 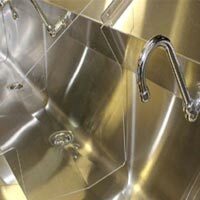 Hands free gooseneck is also made available on demand.